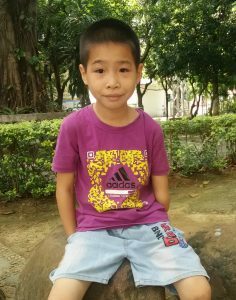 Kramer is a sweet 9-year-old boy from China who has truly touched the lives of all those who surround him. GWCA’s matching specialists have heard from other advocates, families, and caretakers alike that he is an incredible kiddo, a great student, and a wonderful friend to other children. Recently, one of the families that feels a strong connection to Kramer provided him with a substantial financial grant. This grant is available to any family that would like to welcome Kramer into their home, and will be applied directly towards his adoption fees! Kramer’s caretakers say that he has a fantastic personality, and that he’s quite popular among his peers because he is very kind and thoughtful. He is described as being a helpful kiddo who is talkative, easy-going and well behaved. He loves spending his time playing with other children and being active. Kramer has post-operative CHD and limb difference of his left arm, but he doesn’t let that hold him back. He’s a very independent boy who likes to complete tasks on his own. He is in the second grade and and makes excellent grades. Kramer has been in a foster family since 2010 and has adjusted very well to living in a family environment. November is National Adoption Month, and we are so hopeful that before the month is over Kramer will find a Forever Family of his own. Please help us advocate for him by sharing his story. 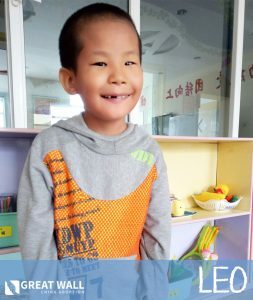 If you or someone you know would like to learn more about Kramer or if you would like more information about his grant, contact our China matching specialists today!